Join me Thursday, November 8th, for a one-hour live and interactive FutureofEducation.com interview (and pre-event for the 2012 Global Education Conference) with Veronica Boix-Mansilla and Tony Jackson about their free PDF book, Educating for Global Competence: Preparing Our Youth to Engage the World. "In matters of national security, environmental sustainability, and economic development, what we do as a nation and in our everyday lives is inextricably intertwined with what governments, businesses, and individuals do beyond our borders. "This new reality helps us more clearly define the role that education must play in preparing all students for success in an interconnected world. The United States have invested unprecedented resources in education, betting that our outmoded, factory-age system can be fundamentally transformed to prepare students for the rigors of a global economy. They have challenged states and school districts to set clearer, higher standards and assess student progress in more creative ways, prepare more productive teachers, and provide effective intervention in failing schools. "These are necessary strategies for change, but insufficient to create the citizens, workers and leaders our nation needs in the 21st century. Missing in this formula for a world-class education is an urgent call for schools to produce students that actually know something about the world--its cultures, languages and how its economic, environmental and social systems work." Recordings: The full Blackboard Collaborate recording is at https://sas.elluminate.com/p.jnlp?psid=2012-11-08.1616.M.9E9FE58134BE68C3B413F24B3586CF.vcr&sid=2008350 and a portable .mp3 is at http://audio.edtechlive.com/foe/globalcompetence.mp3. Veronica Boix-Mansilla chairs the Future of Learning institute at the Harvard Graduate School of Education, where she also acts as a principal investigator for the school’s Project Zero. Her research examines the conditions that enable experts and young learners to produce quality interdisciplinary work and develop global competence by addressing problems of contemporary global significance (e.g., globalization, climate change, migration). She recently co-authored Educating for Global Competence: Preparing Our Youth to Engage the World with the Asia Society’s Anthony Jackson. 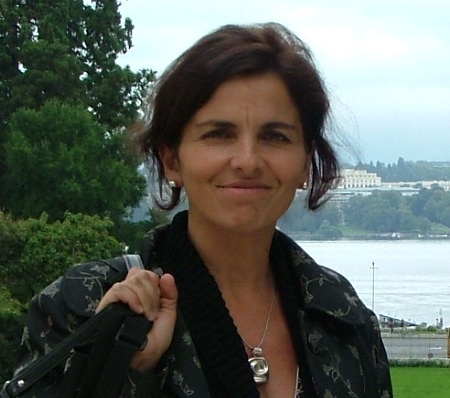 In 2012 she also published Disciplinary Foundations: Teaching Big Ideas for Deep Understanding in Languages, Mathematics and Science. 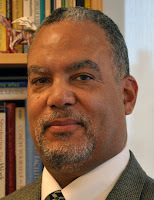 Anthony Jackson is Vice President for Education at Asia Society. He also leads Asia Society’s Partnership for Global Learning, a national membership network of practitioners and policymakers dedicated to integrating knowledge about Asia and the world as a mainstay of American education. Over the past six years, he has led the development of Asia Society’s International Studies Schools Network, an effort within the PGL to create a network of small, effective, internationally-themed secondary schools across the country. 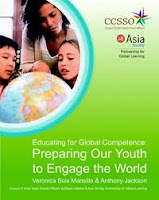 In 2011, Jackson co-authored the book Educating for Global Competence: Preparing Our Youth to Engage the World, a publication co-developed by the Asia Society and the Council of Chief State School Officers’ EdSteps Program. This book defines the concept of global competence as a consensus standard for the field, and provides a cohesive framework for globally focused K-12 education. Isn't the date for the webinar Thursday, Nov. 8? Yes, thanks Julie, for catching that!